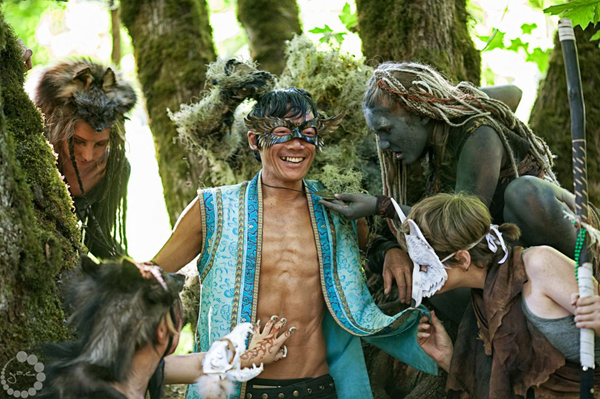 Jeet Kei Leung is widely known for his TedX Talk on the Transformational Festival Movement and is currently in production of a four part film series on the subject, called The Bloom Series, scheduled to release on March 21st. He is also the founder of the Intention Festival in British Columbia. FF – Jeet, tell me about the journey that brought you to where you are now. I know you through your talks on Transformational Festivals, how did this evolve? J – I came out of my teens and mid twenties deeply involved in the political activist radical realm. After that period of about a decade, I discovered the transformational festival culture. At the time a burgeoning outdoor dance culture was happening, in 1997/1998. People were coming together who were aware that a great shift is happening and were there to support the shift. FF – Was that Rave or Techno, what group was that? J – At that time there was no name. For awhile it was called Tribal Dance or Intentional Dance. It was coming out of the Rave lineage, but these people were seeking something beyond the party itself. They were using it as the leverage point to catalyze deeper gatherings, using dancing as the core ritual. FF – And when did you start Intention? J – Leading up to Y2K, the turning of the millennium, I took it on to initiate the organizing of a multi-day gathering where we rented a retreat center and posted workshops and cooked together, with a dance party on New Year’s Eve. It was called Intention, and took off from there. Intention has many elements of the festival, a lot of workshops (30-50), temple night and a fashion show. All those make it dynamic, but it’s also a very intimate gathering. The biggest it’s been is 300 people. Intention is highly co-created. The idea is that we’re all making it together. There is a core crew but the organizers pay the same amount as everybody else who attends. Everybody gets involved, helping decorate and offer their workshops, that kind of thing. We really create the space to be surprised by people’s offerings, beyond who might be programmed to present something. It’s a very beautiful, deeply connected, intimate transformational gathering. J – I stayed very involved with the community in and around Vancouver, British Columbia. 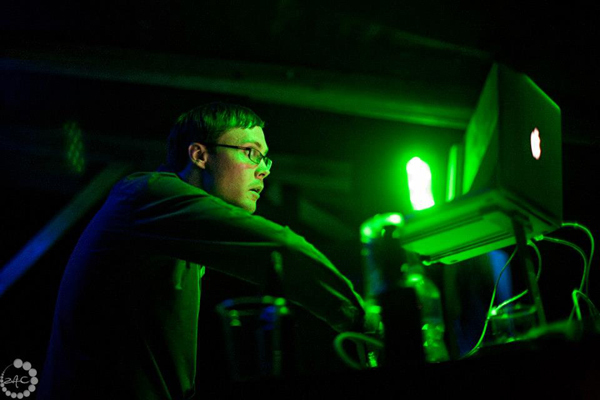 I was also very involved in the Oracle Gatherings that were happening in Seattle, as a DJ, as an event organizer, in facilitating group dialogues. I was a believer in the culture, in the transformation that I experienced being in the culture myself. It was, in many ways, continuous from my more politically oriented activist days to continue on with the same mission, to create transformation, but again, switching the focus from resisting the powers that be, to putting the energy towards creating the world we want to live in with each other, now….within the container of the gathering. In 2009. I was invited to give the keynote talk at the Entheos Festival, which is in BC as well. I had had an earlier workshop that I’d been touring with, but for this invitation I decided to create something new which had been on my mind for a little while…to offer my thoughts on what is going on in the culture. What does the culture mean, what is significant about what is happening in it, what are the elements that are creating it, what is its lineage? I spent several months just researching, exploring and developing that first iteration of the talk I presented the summer of 2009. FF – That speaks to the same mission I have in building Festival Fire, to give – not so much the outside people, but to the people inside the culture – a concept of what it is they’re part of, so that we can open the conversation up bigger. J – Yes, that was exactly my intention, to engage folks. For the next year I presented at various festivals, mostly in the Northwest. And then I was invited to speak at TedX Vancouver. I gave my talk at TedX in November 2000, and the next big step was when it actually got posted, which took 9 months. It got posted online the week before Burning Man, in late August of 2011. It took about a month for it to start going viral. No one had put out this kind of coherent model of what I was coining as transformational festivals. I started getting messages from people all around the world, being touched by my talk and the way that I articulated their own profound experiences at festivals, putting it into a larger historical context, and a larger cultural context. That was the turning point. So we hatched a plan to create a four-part web series on Transformational Festivals. We soon brought in Akira Chan, who is my main production partner now on the Bloom Series. He was in Ojai with the Elevated Films Collective. The three of us put together a Kickstarter Campaign. I had gone to LA to present at an event called MindShare and went to Ojai afterwards, to put the finishing touches on the Kickstarter Campaign. I literally activated the Kickstarter Campaign and then ran out the door, to the car where everything was packed and we headed off to our first festival, Symbiosis [to start filming]. That started the journey of “The Bloom” in May 2012. From there, I personally was at a dozen festivals this past year. 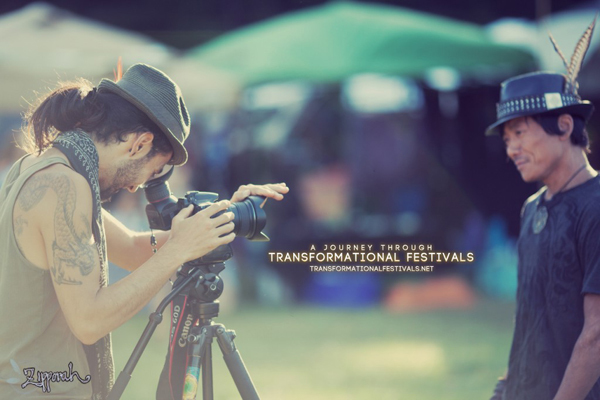 We collected all this amazing footage documenting what’s going on within a dozen different themes of what makes a Transformational Festival, which is the approach we are taking with the Series. One of the criteria is that the festivals have electronic dance music as a core ecstatic ritual. Obviously that’s not the only type of transformational festival, it reflects my own cultural experience and at the same time it has a very significant cultural contribution and has become a distinct phenomenon. It’s been an incredible epic journey since then! It led me to the point of leaving the day job I had for 10 years and making a move from Vancouver, BC to Portland, Oregon. Setting up and devoting myself full time to the production of this series, which is going to launch its first episode on March 21st. FF – On March 21st, is that release online? So first, we’re helping people gather. Our producers are adding lots of other things to the event with the episode as the highlight. The series is called “The Bloom, A Journey Through Transformational Festivals”. In addition to the episode of 20-30 minutes, we have so much amazing material that we are adding The Bloom Culture Spotlight Series, which are a half a dozen short featurettes with each episode, that allow us to delve deeper into particular stories, ideas and issues that come up during the course of the episode. FF – Tell me! What is happening in these festivals? What is the story that you are telling? FF –Do you see it as a new generation of the lineage that began in the sixties? J – Absolutely….. and then if you really get into it, the roots of festival in its connection with sacred ritual, that’s the deepest lineage we have. Really it goes back to our very origins. There are many strands, and this particular one that I’m part of, is coming out of the lineage of Rave, taking the most transformational aspects and running with it. There are definitely some exceptions, but other than those, the containers are very solid and we’ve come to the point where we’ve learned how to co-create increasingly immersive realities. Where different groups each bring a piece of the big picture and by putting all these pieces together we create a rich environment for us all to “live” in, for several days at a time. This is the lived experience of what I call “The Future, Now”. By getting to experience that re-immersion, we integrate that experience into our cultural body of knowledge, and then into our personal ways of being. It’s impacting our personal growth and evolution, learning how to do that as a community, how to hold that space together. FF –Talk to me about the “World we want to live in, the world we need to live in.” The shared vision. J – Creating a new world, it gets pretty deep. With The Bloom Series, in the first episode we cover three themes: The first episode is called “Fundamental Frequencies.” It’s short for “Fundamental Frequencies for a Whole Human”. These are Inspiration, Connection and Healing. What do you need to be a whole human? You need inspiration, you need connection, you need healing. So often those things are missing from our modern urban lives, we’re starving for inspiration, we’re starving for connection, we’re starving for healing. 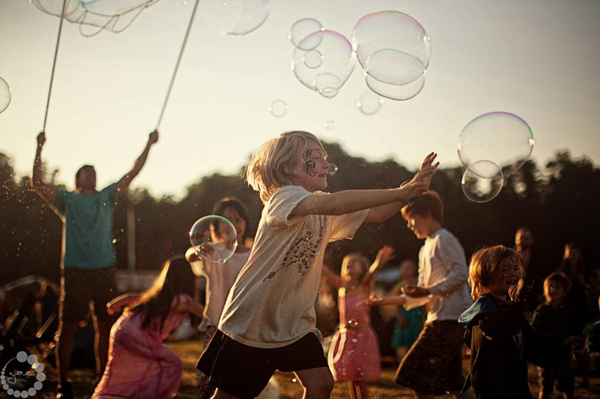 In these intentional, conscious, transformational festivals everybody is experiencing them. Even if you are not into any of the other things that are going on, at a fundamental level you are getting to experience the Inspiration that comes from seeing so many creative offerings and then being inspired to create yourself. It activates your own creativity, it affirms your own visions, it catalyzes you to want to create those inspirations into reality. And theres connection. We feel a lived connection with other people, we feel the unity that we get through dancing together and breaking through all the armor, and barriers. Coming through that, we feel much more authentically ourselves and are able to connect and relate in deep ways that are so often missing, again, in our modern urban lives. And we get an opportunity, often, to catalyze healing in these environments. Right from the beginning people were having powerful, profound, healing catharses, within these containers. Because they are such containers, with such levels of safety, we are able to finally release our guards, finally release the mechanisms by which we keep things bottled up. People are having powerful healing experiences without planning them. In conjunction with that, the culture has developed ways to support those healing experiences, through healing areas, sanctuary spaces, peer support, etc. Those of us who have had this experience come to realize that this is actually the natural way of being human…and we’re working on ways to bring this back into our communities. If we can all experience inspiration, connection and healing, these fundamental frequencies of being human – from that our world will become a much better place. FF – Where do you take it to next? J – In Episode 2, we go progressively deeper. It’s is called “Practicing the New World”, and there we explore the themes of co-creation, participation and modeling. To go into co-creation a little bit, all of our reality is co-created. One person didn’t make the skyscraper. A whole team of people cooperated together to make this massive thing that stands up and doesn’t fall over. The difference is that in our world, we don’t really realize that because the way that it’s structured is that a very small number of people are making the decisions about what to create and everybody else are, at different levels, servants to that. The difference with co-creation is that we come together as a group around a shared idea. We have a shared vision and then we figure out how to create it together and we use each of our skills to create whatever that piece is. …..one group got together and created the Chill Out Shisha Lounge, or an art installation that is 15 foot flowers that you can climb up and hang out in. Co-creation is a process where we’re collaborating together to create a piece of this beautiful reality that results from all of our contributions. That’s very much tied in with the idea of Participation. We’re not just there as consumers, experiencing an entertainment event, we’re actually part of it. Whatever piece that you bring, it could be as simple as you hooping or dancing with your flow arts, or costuming or just your presence and energy – you are aware that you are a part of creating the whole picture and that you are a part of that mix, and that it doesn’t happen without you. That fundamentally shifts the paradigm of entertainment. Where festivals are entertainment, you buy a ticket, you’re the audience, the spectator, the consumer, you’ve paid a price and now you’re getting the experience and you are more or less passively consuming the experience. It’s a fundamental shift from that. And then Modeling, is where we explore all the different ways that people are trying to take this back into their communities, back into their every day lives. It’s not just a peak experience, rather its becoming more and more the fabric of our every day lives. FF – Before you go into Episode 3, how does this translate into everyday life, outside of festival? J – Well, I think everybody is finding different ways to do it. That’s one of the key things. It ranges from people forming a close knit group, getting land and creating community on the land, an intentional community. And that ranges from people still working their jobs, but bringing a level of presence and engagement with the people that they encounter, the people that they are in service to; or it means that they are fundamentally altering the course of their lives in what they are choosing to focus their energies on, focus their career on; or its “Burners Without Borders” taking part in relief efforts say, for Hurricane Katrina. It’s efforts to support indigenous rights movements; it’s being active in the city at a civic level and helping create avenues of policy that foster vibrant and rich cultural experiences for the community to share. It comes in the form of creating free public daytime events in your neighborhood that tap into the same values, the same vitality and vibrancy. Because there are so many people involved, covering such a vast spectrum of interests and walks of life, people are trying to bring it back in countless ways. It’s very rich and we’re just getting traction on where we’re heading with all this. FF – Thank you, I think that’s an important piece. J – Continuing on, Episode 3 is called “New Ways of the Sacred”. Here we explore the themes of Mythos, Ritual and the Sacred, each being a new way of experiencing the Sacred. Society and culture have transformed so much in the past, even 25 years, with the advent of the internet and of digital technology. We are increasingly global citizens who are aware of stories from around the globe and we’re less ego-centric, less tied to our specific story. One of the things we’re seeing as a result of that is a desire to connect with the divine. Something that has been in human culture since our very beginnings and has really only taken a bit of a back seat in the last few hundred years with the scientific revolution, (which was essential to liberating us from many of the darker, more shadow aspects of religious or superstitious belief) but that left us in a kind of a void. Here we are in this material world, and there is an absence of meaning, absence of a connectedness with the universe, and with the world around us. So we are seeing an intuitive desire to reconnect with the spiritual, sacred nature of our experience and that’s being manifested at the festivals in the form of all sorts of altars, all sorts of different ways of honoring and creating ceremony. It’s not focused on doctrine, its not focused on a charismatic guru, its not focused around dogma, its far more un-mediated, direct connection with the divine. FF – You’re trying to do this in 20 minutes? J – It will be 20-30 minutes per episode and then there’s the Cultural Spotlight Series. We’re looking at 40-60 minutes of content per episode. And then we’re going to remix a feature length film version at the end of it all. J – So…here we go…we’re getting progressively deeper….deeper….deeper…haha…..
J – Episode 4 is called “Growth Edges of Evolving Culture” and the idea behind this episode is to look at the learning curve. Where are we at in the learning curve? The three themes are Gender Alchemy, Re-Indigenization and Re-Inhabiting the Village. These are deeper and take a little bit of discussion. Gender Alchemy: From the beginning of this festival culture, one thing that has been apparent is this: the emergence of a strong empowered feminine, the Goddess, the divine feminine. It’s been there from the beginning. In so many ways, it’s the medicine that our world needs. We’ve been in the patriarchal model for so long and God, Goddess knows we need a good dose of the divine feminine in all her empowered nature to just help us through all this! FF – What does she offer that’s different than the Patriarchy? What does that mean? J – To me it’s an open expression of love and this is masculine and feminine. The whole culture has been part of a re-emergent feminine. It’s that comfort in nurturing. There are so many levels in which affection is shared in the culture, which are non-sexual. FF – Yes, clarify that we’re talking about people relating to each other day to day. J – Lets be clear that there are absolutely sexual attractions that are occurent in festival culture, that are occurent in human culture. That element is there, but what’s important is that in [outside] society you only display or share affection with your spouse or partner. In the festival culture there are all kinds of levels in which affection can be shared that are non-sexual. Meaning that there are so many more people that you can share affection with, and that means that you are receiving so much more affection, which is something that humans need. That’s part of the connection and healing piece of fundamental frequencies. In Gender Alchemy, what we see is when the empowered feminine is safe and when she is being respected, then you see a form of sensuality and I will include a form of sexuality, in a very sensual form, that is very powerful. It’s a shift from the way we have marketed and sold sexuality in the mainstream world. It’s one that’s much more deeply rooted in the true feminine, not just as physical beauty. FF – Yes, very much like the sensuality of a tree bending in the wind. It’s the incredible beauty of a living being, and we see that in each other, and we allow that in ourselves. It’s the incredible sensuality of the natural world that we are part of that’s so breathtaking, and moving. J – Yes, it’s that beauty that’s emanating from within. It’s emanating from the person’s being and it’s so obvious when you see someone who is empowered in that vs. someone who’s not. It’s very apparent. To bring it back to the film, from the beginning there has been a strong empowered feminine that we’ve all witnessed. And for the masculine, much of the journey so far, has been about getting in touch with one’s own inner feminine. Getting in touch with really being open with your emotions and your affection, you see so many men who have done that work. So you have a very emotionally intelligent culture that’s being maintained by both the women and the men. Thus, Gender Alchemy is cultural discourse, about what is a new model of the Divine Masculine. What is archetypically masculine, but yet, is still in a deeply honoring place of the divine feminine? One that is actually being called forth to step up to hold space beside the divine feminine. That’s what we’re exploring in the theme of Gender Alchemy: a discourse about what does it look like to have fully balanced and healed gender relations, of the Divine Masculine and the Divine Feminine? Re-Indigenization has two main components that we are exploring in the film. One is that the medicine needed in the world right now, is each of our own connection with the earth. Each of our own re-connection in a deep and honoring way with the earth, because we’ve lost that – definitely over the last few hundred years with the industrialism, we’ve become very much cut off as a culture, and even much further back. Many people would say the advent of agriculture was the beginning of our alienation from nature. However, we’ve come to a point where we all know we’re in a critical phase of spoiling this planet full of abundance to the point that we are threatening our own sustainability, our own survival. As an antidote to this, we see an awakening of people feeling a deep need to reconnect with the earth. It’s in us because we are all creatures of the earth, of nature. This touches on reconnecting with our own indigenous nature, and what that means in terms of fulfilling an honoring, deep relationship with the earth. The other piece is what you see as a byproduct. If you are on the path of connecting with the earth, you are going to naturally esteem and listen to those people who have been carrying that lineage forward. I’m speaking about the current indigenous people on the planet. Quite often, festivals are taking place on native lands and the festivals themselves are touching into ancient tribal ways of being. With Re-Indigenization we’re exploring a re-encounter between the neo-tribal festival communities and representatives of indigenous communities, and the learning curve of how to do that right. How to do that in a good way, in right relationship? In a way that is not replaying the dynamics of colonialism, but is attempting to heal those dynamics. And then the final theme, “Re-Inhabiting The Village” has two parts, just to keep it interesting! 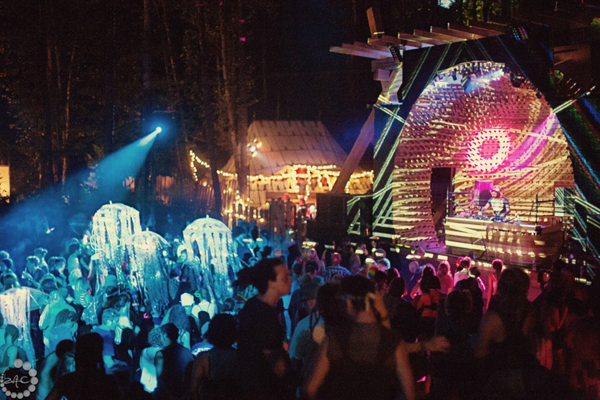 FF – This is beautiful, it’s not just about the festival culture, this is about being human. J – It is, it is! That’s it there, in the festival culture we get to experience the world shift, for a little amount of time. It becomes reality, and that’s why it’s so important. In Re-Inhabiting The Village, the first part is the visceral experience of living in the village. So many of us are living in cities, alienated and there’s so much misery around us. Being very deeply connected in community has been the actual norm of human existence. The festival provides that experience. One of my favorite things is walking around on Sunday evening, after the weekend, everyone is relaxed and there are little clusters of people here and there, gathering. We’re all outdoors and by a river or wherever and there’s a little camp here and a little camp there and just walking around it feels like a village. 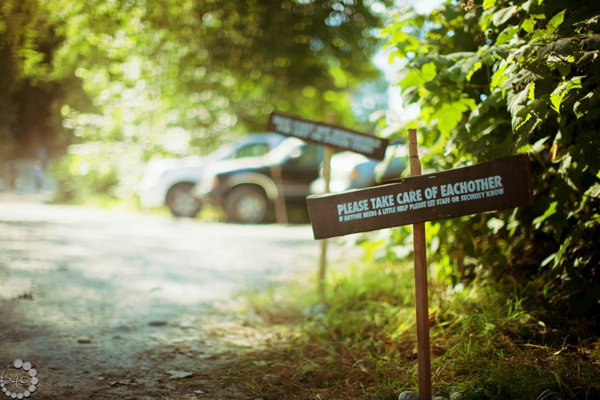 It’s the visceral experience of feeling connected with those around you, being in a tribal village for a few days out in the woods. And the other part is that it’s not just a demographic of 18-26 year olds, you’ve got all the people who were part of that early Rave culture who are having kids, you have 20 year olds coming into the culture, some of them have grown up in the culture, there are younger ones who have also grown up in the culture, and then you see the conscious inclusion of elders. The other part of Re-Inhabiting The Village is festivals becoming consciously multi-generational gatherings. Re-uniting, healing the generations, re-uniting the whole community. There is a very different experience between a massive group of twenty to thirties partying together, than you get when there are toddlers, little ones and elders. When the whole village is gathered together and celebrated there is a different experience. That’s what we’re exploring in that part of the film.